In July 2016, iTandCoffee won the 3AW/Momentum Energy Small Business Success Award. Here is the audio from the radio interview with host Dennis Walter. 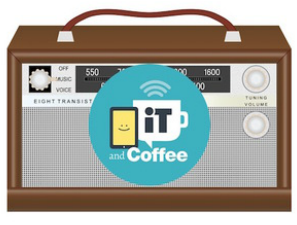 Iain Messer, from Community radio station 3WBC 94.1 FM kindly invited Mother Geek to come in and chat about iTandCoffee. Below is the audio from their conversation on Thursday 5th December 2013.